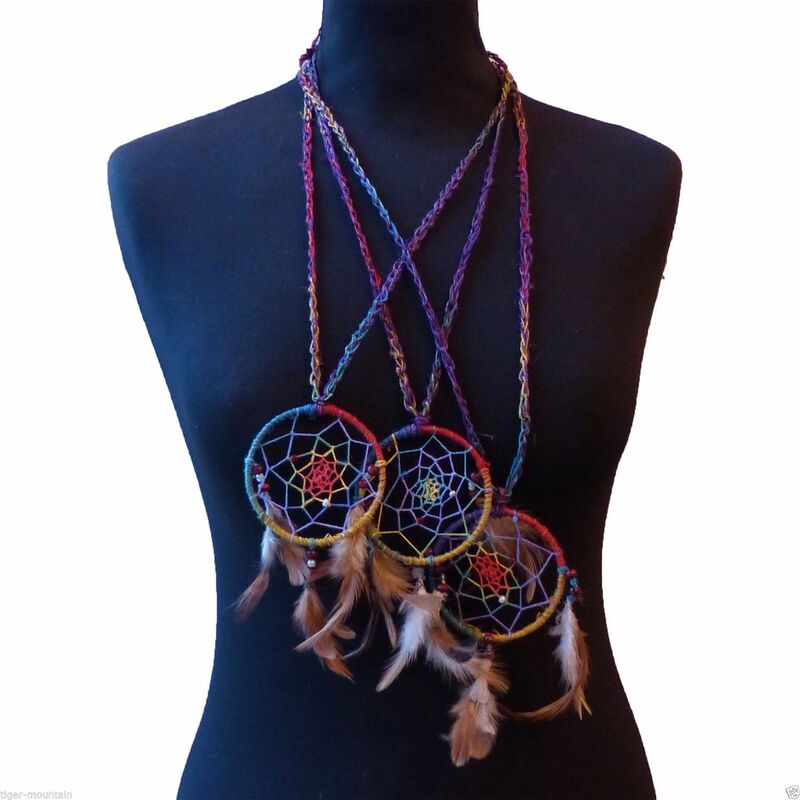 This single hoop multi coloured dream catcher necklace is hand-made for us in the Kathmandu valley, Nepal, from brightly coloured hemp, beads and feathers. 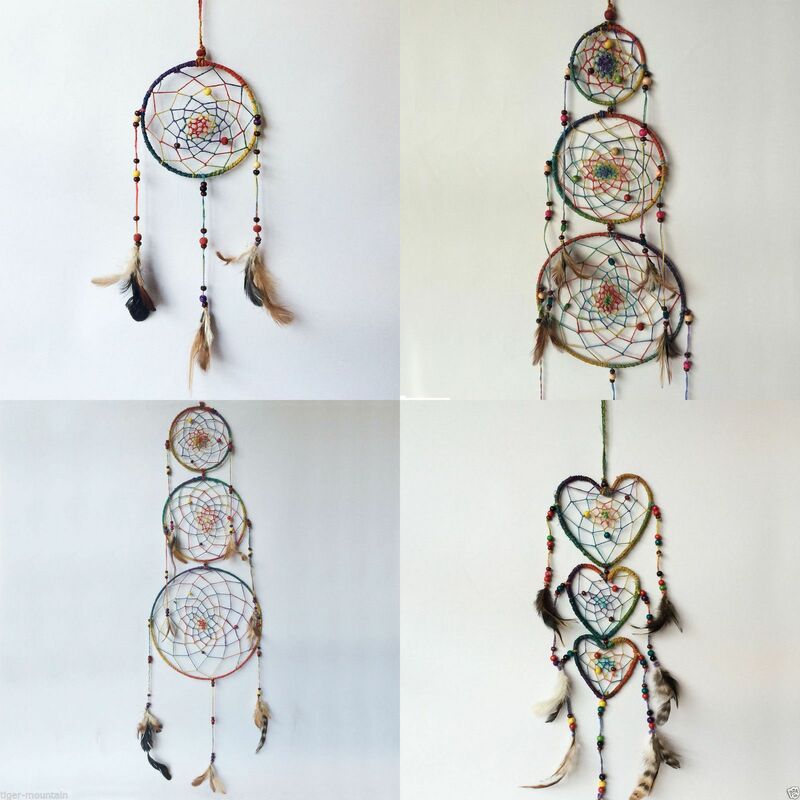 The dream catcher itself measures 7.5cms / 3" in diameter, and the necklace measures 50cms / 20". 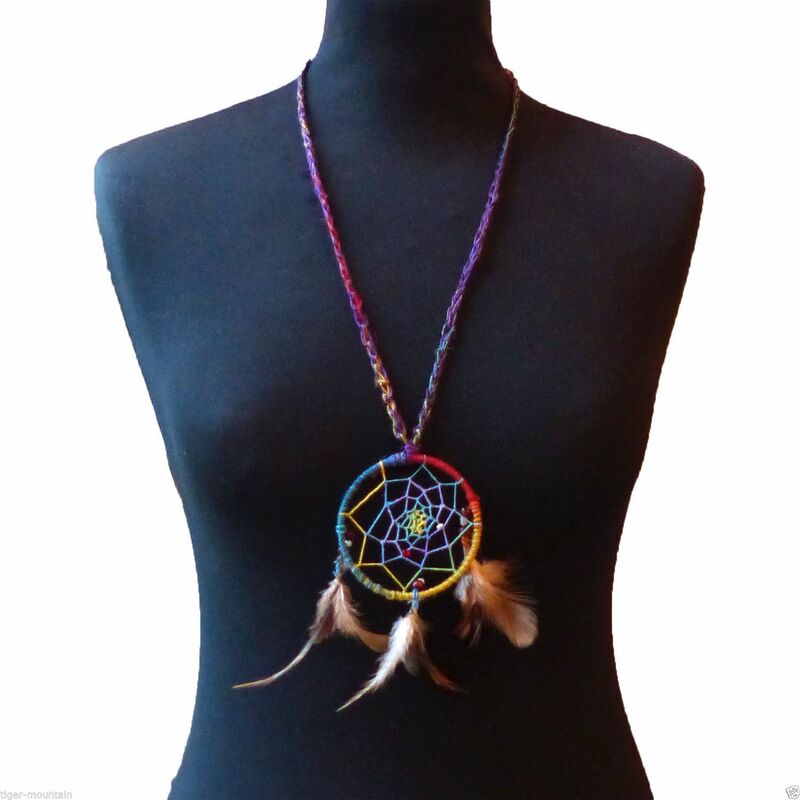 The necklace is adjustable and can be shortened by gently pulling each loop string.